Trident™Multi-Point Locks provide multi-point deadbolt locking with maximum, time proven resistance to break-ins. 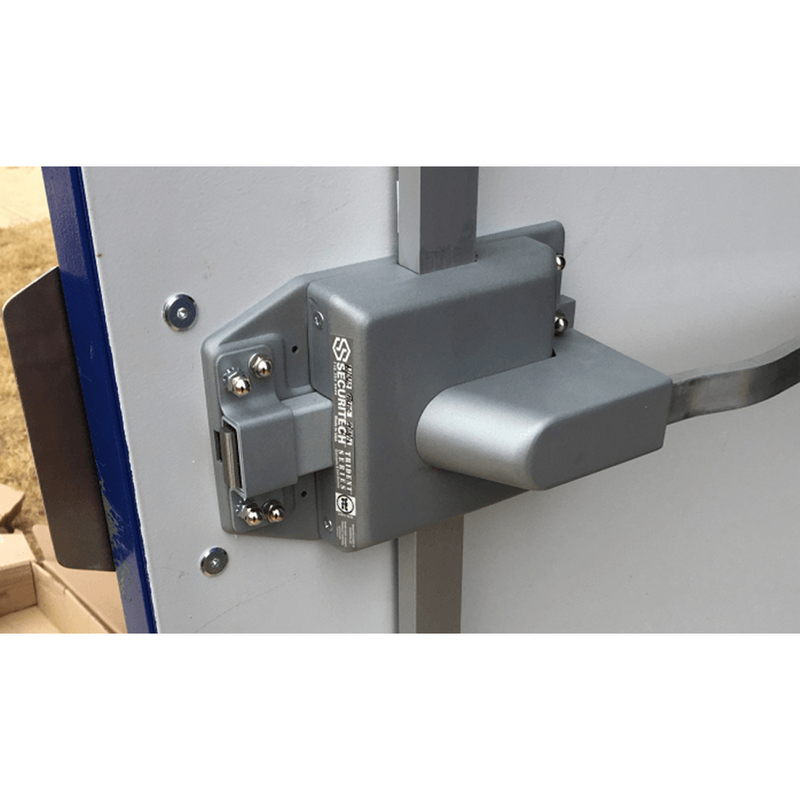 Code compliant, single motion exiting retracts all moving bolts simultaneously, as opposed to the use of slide bolts, drop bars, padlocks, etc., which violate building and fire safety codes. Back door break-in prevention. Offering maximum protection at the lock edge, the stainless steel deadbolts project one full inch into the frame. Also included is a hinge-side bolt that protects the door against hinge side attacks. It is important to note that the Trident™Multi-Point Lock’s bottom locking module bolts into the frame instead of into the floor. History has shown that bolting into the floor causes malfunctioning which results in numerous service calls. This is due to dirt, salt, or moisture accumulation clogging the floor bolt hole. 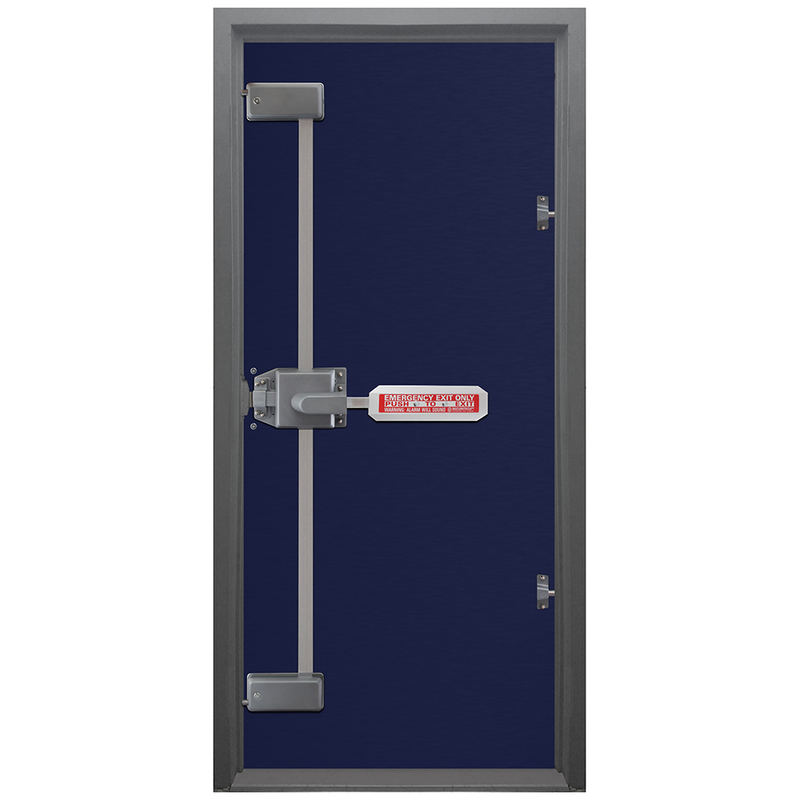 The Trident™ Multi-Point Lock overcomes weakness in doors with a large stainless steel anti-pry plate. 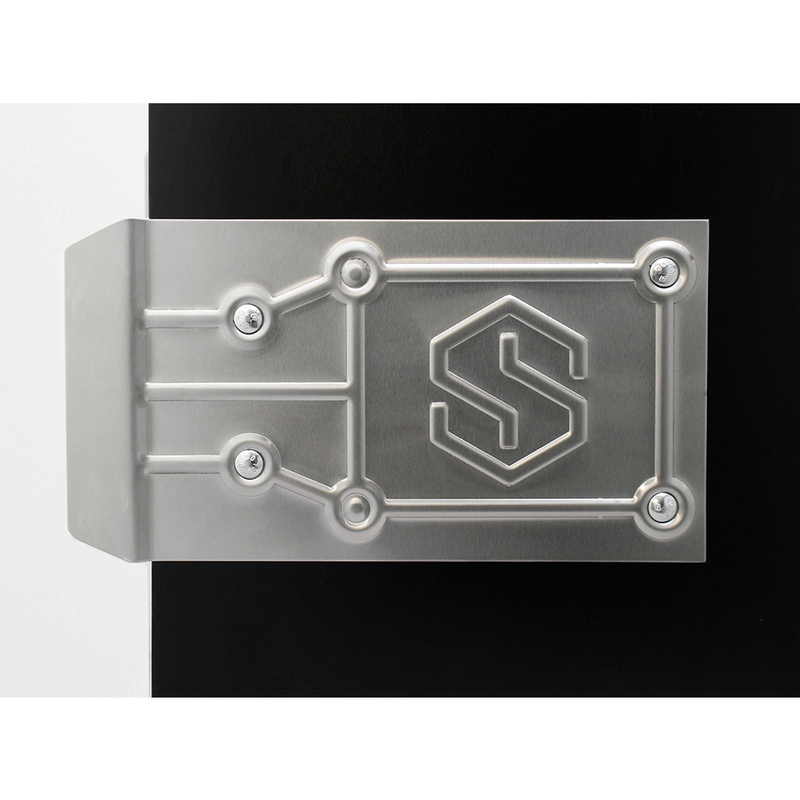 All locking modules are all thru-bolted, including the stainless steel anti-pry plate. The Trident™Multi-Point Lock is available in self re-locking and manual re-locking models. Retail stores gravitate towards using the self re-locking model so that the door always re-locks after use. No retail store owner wants their back door left open. Meeting retail store owners’ requests, many options have been added to the Trident™Multi-Point Lock. Added options range from battery-operated, direct power, and signal output for alarms, plus entry options such as keyed entry and access control integration. Both single and double door models are available. The Trident™Multi-Point Lock comes with a full size marking template which ensures an accurate and quick installation. Most options for the Trident™Multi-Point Lock are modular in nature and can be added in the field at any time. The Trident™ Multi-Point Lock is “Simply the Best”. Time after time it has proven itself in protecting retail stores across the country from massive break-in attempts.